WALLFLOWERS won our indie poll last week but which web series was your favorite this week? Support your favorite serialized drama or comedy and vote in the We Love Soaps Indie Series of the Week poll below. You can also cast a vote for your favorite actor, actress and web series couple. Voting ends Tuessday at 9 a.m. ET. Scroll down and click "Done" to cast your vote. Web series that aired one or more new episodes from April 14-20, 2013 are eligible. 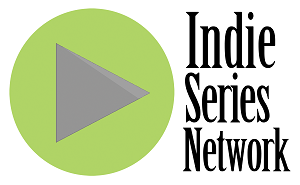 If an indie soap aired this week and is not on the list, cast your vote as "Other" and add a note in the Comments section below. - 3SOME Episode 2 "The Parents"
- DORM THERAPY Episode 4 "Milk & Cookies"
- FAMILY PROBLEMS Episode 9 "Searching"
- GIRL PLAY Episode 3 "Lesbian Love and Lap Dances"
- GOSSIP BOY Season 2 Episode 7 "Your Scarf"
- HOW I SEIZE IT Episode 94 "Marijuana"
- IN BETWEEN MEN Season 2, Episode 8 "Two For One"
- LESLIEVILLE Episode 8 "Jill and Jill Went Up A Hill..."
- WALLFLOWERS Episode 3 "All-American Girl"
- WORLD'S WORST DIRECTOR Episode 14 "World's Worst Props"
- BLOOMERS Season 2 Teaser Trailer Is Here!